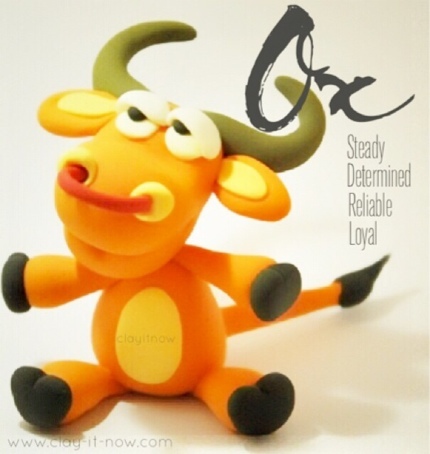 The ox figurine in air dry clay was made as part of the 12 animals sign in Chinese Zodiac series. How to make ox figurine? First of all, choose your clay. 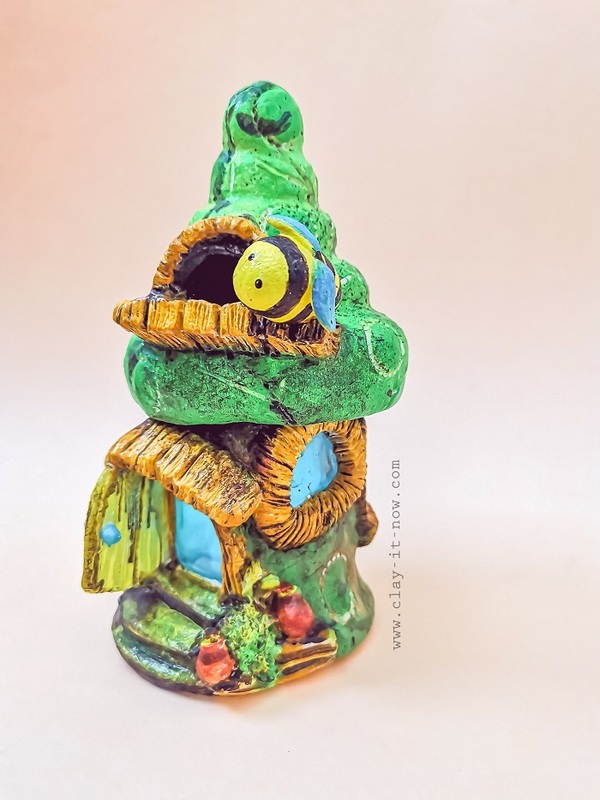 Homemade clay or soft clay is good for this type of figurine. Knead your clay well until it's warm and soft. This is the first step you have to repeat again and again every time you start with a new clay model. Ox legs: roll your clay to a ball shape with diameter about 1 - 2 centimeter and then change the shape to teardrop shape. Press the wider part a little bit. Make 4 of them. Ox body: Roll another ball shape with diameter 2 - 4 centimeter and then change the shape to an egg shape. Flatten the wider part of the egg by pressing it lightly on the table. Ox Ears: Make 2 small oval shape , flatten it and draw the line in the middle. Ox head: Roll the clay to a ball shape and then egg shape. Next, press the top of the egg (narrow side) and make a slit at the bottom of the egg for smile line. Eyes: make a basic ball shape clay in white color, flatten and paste it on to the head above the smile line. Add a small black ball shape clay for the eyeball. If it is too difficult for you, draw the eye ball with black marker. Make a crescent shape in white color too as an eyelid and paste it above the eye ball. You can have different kind of expression by changing the placement of the eyeballs and eyelids. Nose: make two small ball shape clay in lighter color than the ox skin. Use clay ball tool or toothpick when pressing these to the ox face. 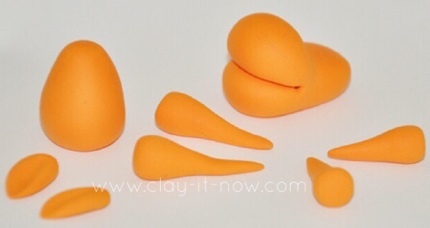 Ox nose ring: make a thin spaghetti or pipe clay shape and insert both end to the nose from one side to the other. Ox horn: make two teardrops shape, pull out the top end and bend it. Paste the horn to the ox head. Make 4 black clay in ball shape, flatten it and shape it a little bit like the picture and paste it onto the front and back legs. Paste the back legs to the bottom and the front legs to the top of the ox body. Support these legs with tissue or masking tape to make sure it stay on its place until the clay dry. Insert the oxtail to the back of the body. Our Ox figurine is done.